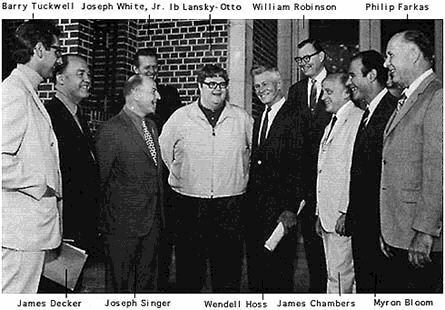 The International Horn Society (IHS) was formed in June 1970 at the Second International Horn Workshop in Tallahassee, Florida, USA. We are an organization dedicated to performance, teaching, composition, research, and the preservation and promotion of the horn as a musical instrument. Arthur Berv, James Chambers, Anton Horner, Carl Geyer, Max Pottag, Barry Tuckwell, Philip Farkas and William Robinson. The First Annual French Horn Workshop was held at Florida State University in 1969. At the opening General Session prominent horn personalities present included Arthur Berv, James Chambers, Philip Farkas, Carl Geyer, Anton Horner, Wendell Hoss, Max Pottag, and Barry Tuckwell (John Barrows arrived later in the week.). It was during the second symposium that the idea was suggested for an international organization of horn players. 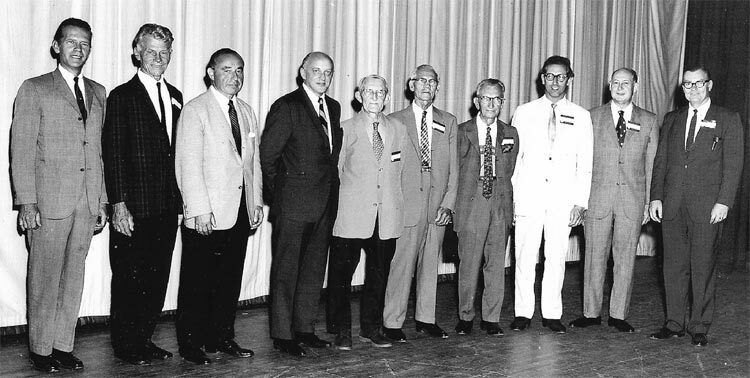 An organizing committee later declared the IHS "founded" and elected the first officers of the IHS: Barry Tuckwell, President; Wendell Hoss, Vice-President; Norman Schweikert, Secretary-Treasurer. Harold Meek was later appointed as the first editor of The Horn Call. The IHS has over 3500 members from 55 countries around the globe, including internationally renowned touring artists, symphony musicians, university teachers, students, horn designers/builders, composers, music libraries, music publishers, and amateur players of all ages and walks of life. The society has something to offer every horn player and enthusiast. Hold and encourage workshops, lectures, and seminars open to the public. Publish a Journal consisting of materials appropriate to the horn, as well as periodic newsletters and membership lists. Encourage the awarding of grants and scholarships to competition winners. Encourage composers and arrangers to write music featuring the horn. Foster competitions for and the commissioning of new repertoire featuring the Horn. Establish and foster an Archives/Research Facility pertaining to the IHS. Establish close working relationships with music teachers. Present honors and recognition for distinctive service relating to the horn.